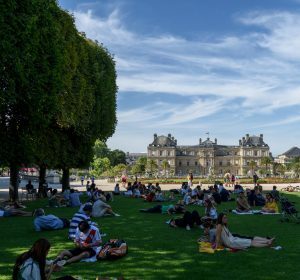 The Luxembourg Gardens are one of the biggest gardens in Paris, and are located right in the center of city. The gardens have many water basins, statues and chairs available to the public! It is the perfect place to enjoy a lunch with your students and possibly have some reading time. 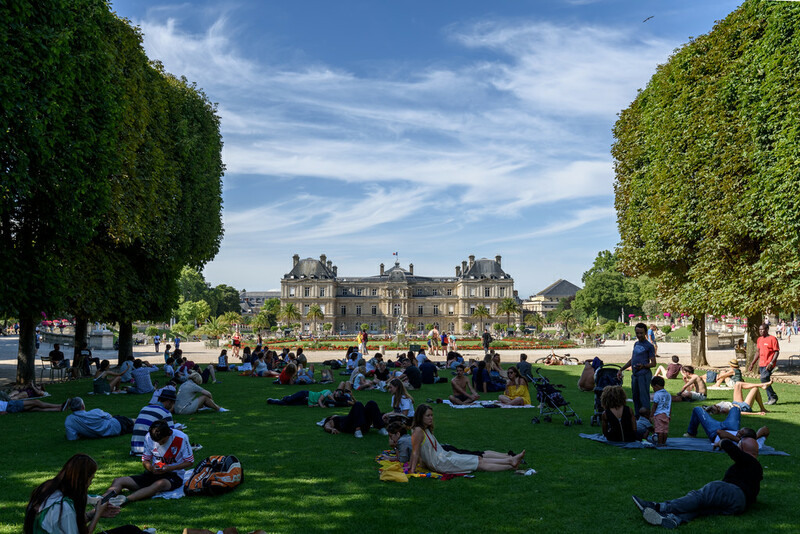 Depending on your students’ ages, the Luxembourg Gardens offer many fun activities, such as puppet shows, slides, carousels, pony rides for the youngest, but also tennis fields for the eldest! Make sure to check out their calendar for upcoming events to find a date during your student trip to Paris. In front of the Notre-Dame Cathedral, students will find an interesting geographic marker known as Kilometre Zero, or Paris Point Zero, which marks the exact historical center of the city and which marks the beginning of all French roads. Your students will want to capture the moment so make sure to have your camera ready! 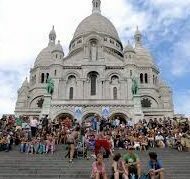 The Sacré Coeur is recognized by many for its beautiful structure and rich history. One thing that many don’t realize are the significance of the steps that lead up to the church. You can plan a lunch with your students and sit on the steps of the Sacré Coeur as you enjoy yet another beautiful view overlooking the city. Many times, there are street performers or artists present that your students can watch as they relax on the steps. In case of a rainy day, the Passage des Panoramas is the place to be on a student trip to Paris. It is considered the first covered walkway in Paris and it is filled with all kinds of bookstores, souvenir shops, cafes, and restaurants. Your students will love to explore the shops and history within the walls of the passage! The Museum of Modern Art is dedicated to modern and contemporary art of the 20th and 21st centuries. 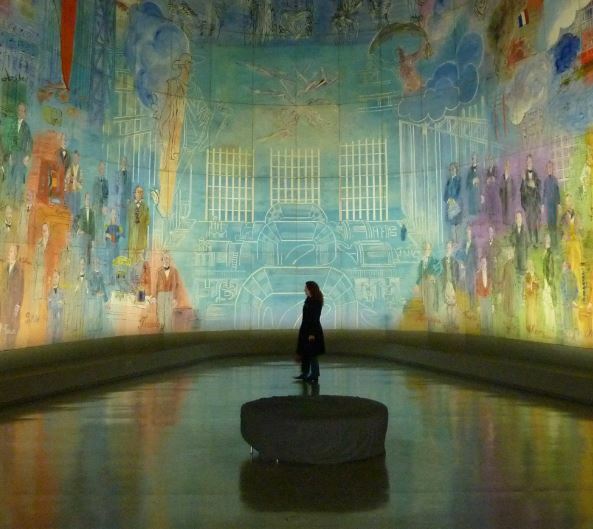 The museum offers all kinds of exhibitions to satisfy every student participating in your student trip to Paris. Some exhibitions and works of art are permanent, while others are only there for a limited time. But don’t worry, the museum is free of charge for the permanent collection so you will have plenty of opportunities to return and enjoy all the pieces of work! 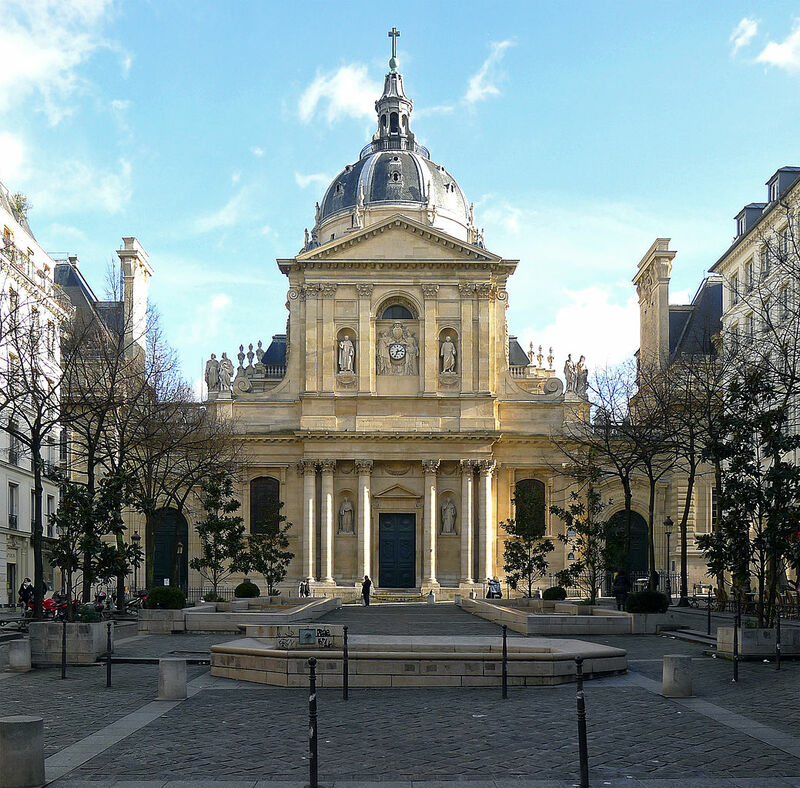 La Sorbonne was founded in 1253, so who wouldn’t want to visit one of the oldest universities in the world? Sorbonne University provides your students with the perfect opportunity to experience what higher education is like in France. Lucky for you, there are tours held almost every day! If a tour isn’t your ideal option, walking around the university’s walls is also a great way for your students to explore the Latin Quarter and learn about the history of this student area. Make your way over to Rue Crémieux for a beautiful sight! 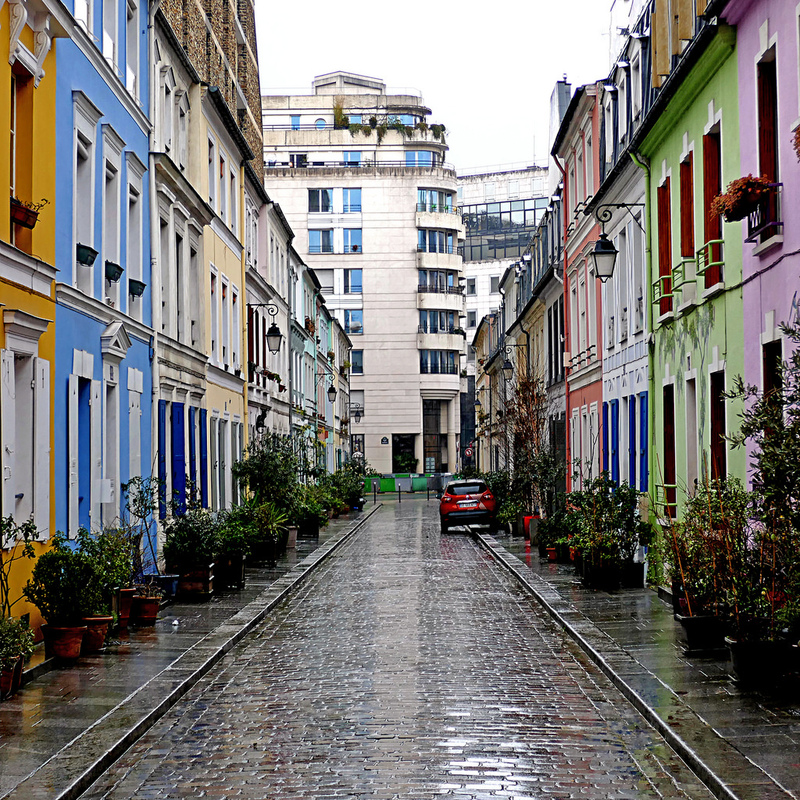 Between Rue de Lyon and Rue de Bercy, Rue Crémieux is filled with charming little houses painted in bright colors. This street is so different from the rest of the city that it will feel as if you’ve been transported from Paris to the most colorful place on Earth. It’s a stroll that your students are sure to enjoy! Canal Saint-Martin is a long canal located in Paris, and the perfect spot to have a nice lunch or a relaxing walk with your students. At the canal, your students might be interested in visiting Pink Flamingo. 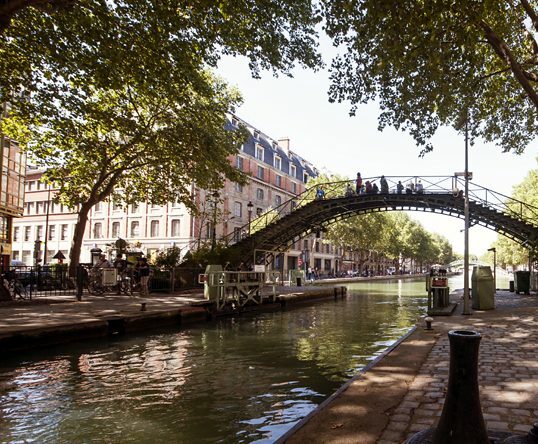 Pink Flamingo is known for delivering pizzas to you anywhere along the Canal Saint-Martin. First you have to order at the restaurant where you will be given a pink balloon. You must hold on to this balloon as you choose a spot along the canal. Within a few minutes, your order will be delivered to you! 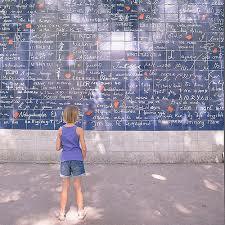 The Love Wall is a love-themed wall of 430 square feet, created in 2000. The wall features the words “I Love You” over 311 times in 250 languages! The wall includes all major languages, but also some rare ones, like Navajo, Inuit, Bambara and Esperanto. The wall is free of charge so students can take a picture in front of the wall and send it back to their families to spread the love and share all fun they are having on their student trip to Paris!